The fact that you get high quality cannabis seeds safely and reliably is our concern. For this we test them and do intensive research on the products we offer you. There has been a whole lot of varying statements and stances regarding the legalizing of Cannabis in the US. Much was said and pondered upon during the recent American Presidential election and now that Donald Trump has won the election many growers feel that they can heave a sigh of relieve. Whether Cannabis will be completely legalized across the US for all purposes is not yet known and most people in the Cannabis culture are kind of unsure what to think. Whatever the case may be, Cannabis is here to stay and those of us that supply Cannabis in the US are going about their usual practice of supplying Cannabis in the US. As always, the rest of us are still browsing the internet to find the best Cannabis seeds in the US. And it is our task to provide you guys with the best possible place to buy cannabis seeds in the USA. 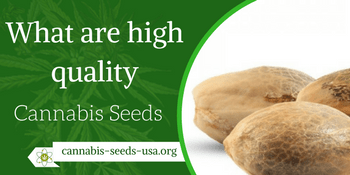 As we all know, Cannabis cannot (or may not) be supplied and/or used in some of the US States, which makes it difficult to find Cannabis seeds in those states. In other states, Cannabis seeds may be distributed for cultivating medical Cannabis only, and in one or two states Cannabis has become a “free for all”. U.S. States in which is legal to Use and Buy Cannabis for recreational and medical purposes? Recreational and medical Cannabis for adults are legal to use in the following U.S. States: Washington state; Washington D.C; Colorado; Oregon; Alaska. The same rules apply in the District of Columbia. Note that the laws vary from state to state. For instance, in Washington DC you can weed for any purpose, but you are not allowed to buy it there. For more on the laws of Cannabis in the USA, visit this site. What is most important for those in the Cannabis community, is where to find Cannabis seed in the US, to provide yourself with cannabis. As with buying and owning Cannabis for recreational or medical purposes, laws differ from state to state on where and how to buy Cannabis seeds in which state in the US. While you can legally buy six seeds in Alaska for recreational purposes, it is in many states illegal to sell any seeds locally at all. Therefore it is safe to say that you should check the laws of your state before your decide to buy any Cannabis seeds. There are certain states where Cannabis will probably be legalized and one or two where it has already been legalized. For example, as of November 8th 2016 Cannabis is completely legal for adults to own and grow in the State of Nevada. This goes for medical Cannabis as well as recreational. Even if you are not a Nevada Citizen, you can buy Cannabis in Nevada by means of a medical card issued by certain doctors. To simplify the practice of buying Cannabis seeds in the US, we have createtd our platform to give people in the USA a simple way to buy cannabis seeds online. We send worldwide with our stealth delivering system. So we guarantee that you will get your seeds. In the case that your delivery will not arrive, we will send another one until you get what you have bought. We offer a wide variety of good quality Cannabis seeds, but beware of other fraudulent online sellers. Finding a reliable online bank that ships to the United States or Canada can be difficult. Certain online seed banks, such as Sensi, The Green Hous and Dutch Passion do not ship to the US. It is quite easy to order from our online shops. As with most online order suppliers, you merely choose your product to add it to the cart, and then check out with Visa, Mastercard, bank transfer, cash by standard mail, or Bitcoin. With most reputable online suppliers all orders are shipped within two days of receiving payment. You will be notified that your order has been shipped on the day it is sent out. Their unique “stealth” packaging prevents customs from finding what’s inside, even if they open the package to inspect. The word “marijuana” or “Cannabis” is never mentioned inside or any package containing Cannabis seeds. Unlike incidents where packages were seized by customs in the past and recipients wer merely notified that their package was retained because it did not comply with the regulations regarding the importation of seeds and nuts, no packages are being seized today. Generally, it takes about 7 to 10 days for an order to arrive at its destination. In some instances, the packages could get lost. If this occurs, the package will be replaced with a brand new package. You will always get your order no matter what! What are Cannabis Seeds or Marijuana Seeds? Cannabis is one of several plants that are dioecious. This means that the species consists of plants of separate male and female individual genders. In order to produce female flowers without seeds, female plants are cultivated without any male plants in the same environment. By doing that, the female plants cannot be pollinated by male pollen to produce seeds. This results in production of the highly sought after resinous female Cannabis buds that produce the aromatic resin that contains the terpenes and cannabinoids that are used for recreation and medical purposes. These seedless resinous buds are of high potency and are called sinsemilla. To make reproduction possible, a female plant’s flower has to be pollinated by a male plant. After that happens, the female plant will produce seeds, the seeds will germinate and grow and the species will survive. Certain Cannabis varieties have the ability to grow male and female flowers on the same plant when circumstances become such that the plants become “stressed” and then “feel” that they are pressurized to take emergency measures to prevent the species from going extinct. This makes it possible for the plant to pollinate itself as well as female flowers on other plants. This phenomenon may happen especially when the habitat of the plants become difficult to live in and the plant is threatened by extinction. When plants mutate in this manner, they are referred to as hermaphroditic plants. This condition is most undesirable for the production of a good harvest, since even just one such a hermaphroditic plant within your crop can spoil an entire harvest and produce seeded female buds. When plants have produced seeded buds, they can still be utilized, since seeds can be harvested and used to produce hemp seed oil, food products or supplements. Unspoiled seeds can also be sown to become the next crop for a harvest. Spraying with gibberellic acid, which is an undesirable method because of the inorganic substance that is used. When feminized seeds are used, they will produce only female plants if the process was done correctly. Sometimes, when the person who feminized the seeds skipped a step, there can be hermaphroditic plants among the crop that can spoil the crop and reduce your harvest. Cannabis plants usually begin to bloom when the period during which they are exposed to light is reduced to about 12-14 hours. This is called the photoperiod, and flowering begins irrespective of the age or the size of the plant. One exception to this rule is Cannabis Rudelaris. This variety of Cannabis blooms when the plant reaches a specific age, making the effect of the photoperiod obsolete that other Cannabis varieties rely on. Certain Cannabis breeders have come to realize the significance of this trait, and have crossed Rudelaris, which is naturally low in THC, with other strains that are more potent. This has resulted in Sativa, Indica or hybrid strains that have been changed genetically to force them to begin flowering soon as they become mature, thereby shedding their dependency on the photoperiod. This innovation has provided a solution to the problem in certain areas where the summers are very short or excessively wet resulting in a low yield because the photoperiod did not pitch up in time. Using Autoflowering seeds will ensure a great harvest in areas where the summer is too short for photoperiod dependent plants, and it has even been known to double yields in areas where the summer is normal or long. Seeds are harvested from female plants, whereas clones are harvested by cutting sections from an adult plant and cultivating it in a growth medium. While seeds contain genes from two parents (male and female), clones contain only genetic information from one parent (the plant from which the cutting was taken. For beginners, using clones instead of seeds is a great idea, since by doing that you can choose a plant with great properties and be sure that your crop as well as your harvest will be great. You can even acquire a clone from a grower who has a plant that has proven itself. Many great seed banks can be found in UK, the Netherlands, Spain and Canada. In these countries the legal status of Cannabis is much more relaxed than in most other parts of the world. For someone in the USA buying seeds from companies in these countries carries a certain risk that your seeds may be intercepted by customs security officers, border protection officers or narcotics police officers. There are certain states in the USA where you are allowed to grow your own Marijuana for medical purposes. In these states you are able to obtain your seeds from certain dispensaries. Several seed banks have been established within these particular states, and they will ship seeds to any location within the USA. 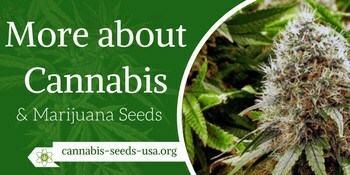 It all depends on where you live in the USA, whether you are able to legally obtain Cannabis seeds. Certain Sates, like Colorado, have completely legalized the cultivation and use of Marijuana for all purposes. Note that you have to obtain a license to grow Marijuana even if you are a citizen in a state where Cannabis is legal, because at a federal level the growing and owning of Cannabis seeds are still considered to be illegal. However, consider the fact that those states are actually breaking federal laws by allowing the growth and ownership of seeds, so it is probably okay to own seeds if you have a license or recommendation and follow all the codes laid down by that state. Seed banks in some other countries are allowed to sell their Cannabis seeds “for souvenir purposes only”, but be aware that USA customs will probably seize any such package. To establish the quality of a Cannabis seed, you first need to know what to look for in a Cannabis seed. To begin with, the seed should be fully matured. Green seeds will not be viable enough to germinate, and you would have wasted your money on nothing. Proper storage is also important in order to prevent fungi and other microbes from spoiling the seed. The best conditions to store the seeds would be in a cool, dark place, and if you cannot use the seed within at least 16 months, then it is advisable to freeze the seed until you are able to use it. Genetics play an important part in the quality of seeds. The parents of the seeds need to have proven themselves as producers of strong, good quality crops that will yield substantial harvests. Certain so-called “breeders” will try to sell you seed that was not properly researched in the first place, and the seeds will not be the good quality that you have paid for. Some better breeders will take time using special techniques to produce viable seeds that will yield good harvests, while the best breeders will dedicate all their time to create the best inbred strains that will produce the most popular and sought after Cannabis strains. Wild female Cannabis plants simply drop their ripe seeds as the plants die in the fall, relying on the natural germinating process to take place and the seeds to sprout as soon as the weather Conditions become sufficiently warm for them to grow and produce the next generation of Cannabis plants. Traditionally, growers use outdoor methods to grow their crops by manually sowing their seeds into fields where the conditions have been made ideal for Cannabis plants to grow, bloom and produce harvests. There are many methods by which Cannabis can be germinated and cultivated, the easiest and simplest being to plant individual seeds in potting soil and covering them by about ⅛ to ¼ inch of the soils used and keeping the soil moist and warm enough to suit the conditions that are best for the plants to grow in. When the seeds have sprouted, they can be planted out to their permanent growing spot. There are various techniques to ensure that seeds will germinate with the best possible chance of surviving. CBD or Cannabidiol is the second most abundant cannabinoid in Cannabis. CBD does not have the psychoactive characteristic that THC has, and it has been established that CBD can actually counteract the psychoactive effect of THC. CBD is therefore the most desirable substance in Cannabis for medical purposes. Cannabis used for Hemp production was selected for various qualities, including its high CBD content. In recent years producers of CBD products have managed to produce Hemp CBD products that have a very low to no THC content, which makes these strains perfect for medical use. There are certain breeders that are currently working on producing seeds that will yield crops with a zero percentage of THC content. As soon that goal is achieved, the medical world will have gained a super medical substance which will be the breakthrough of the century, and we will also have more ammunition with which to approach decision makers at governmental level. Crops such as these will also be a core ingredient of certain high quality health foods. Cannabis seed prices are currently extremely high, the reason being that they are still illegal in most of the world. I can, however foresee a time in future when we should be able to buy Cannabis seeds at the local supermarket at competitive prices compared to squash, tomatoes, etc. This should happen as soon as we can prove to the world that high CBD Cannabis is not the highly dangerous and psychoactive drug that most people perceive it to be. The use and possession of weeds nowadays have a very big difference from the past law passed by different states in the United States. The majority of states prohibit whatever activity is done involving marijuana. There were penalties associated with using it because it was considered as an abusive drug. The federal states take a deep control in legalizing it but this law was reformed after several elections that passed by. People from different states have divided opinions and so are the lawmakers. There are some who agreed because of wide benefits of using it but there are also some who criticize it based on their beliefs. This is a big battle and lawmakers did alterations on the law until they earned additional support to pass it. There may be some who have a strong will to prohibit its use, however, as time goes by, people are becoming more aware of marijuana and they started to accept it as part of their society. Even presidential candidates in the 2016 election have different opinions on different ways or aspect marijuana should be legalized. Researchers involved in the discovery of health benefits of marijuana is an added factor why this big battle is getting strong as of now. The results of their research play a significant role in passing the law of marijuana legalization specifically for medical purposes. Selling and using cannabis has long been a debate in many countries around the globe and the United States has several states that supported the use of it legally. These states are Washington D.C., Oregon, Alaska, Washington state, and District of Columbia. Weeds can be used anywhere in Washington D.C. but buying is illegal there. Cannabis has long been discovered to be beneficial for some reasons. One of the main purposes of using it is for medical purposes. It is said to have many health benefits and medicinal properties that also became the reason why it won to have it legalized in some states in the US. Its medicinal properties are used to treat glaucoma, improve the lung health, and is even known to prevent cancer from spreading all over the body. The most well-known benefit it provides is to reduce the symptoms produced by epileptic seizures. This was also used to control seizures in kids and has been discovered to be effective. Some states allow the usage of cannabis for medicinal purpose, however, using it for recreational purpose is prohibited. These states are New York, California, Arizona, New Jersey, etc. Different states have different cannabis policy as they are also governed differently. Cannabis oil is also manufactured and is used for the treatment of a specific illness. However, no matter cannabis oil is said to be effective for treating illnesses, some states still did not allow the legalization of using this. So before you bring any amount with you going to another state, you need to make sure that you know their state policy. Make sure you bring it packed in its original package and place it in the trunk of your car. All states prohibit driving while you are under the influence of marijuana. There are also differences in all states when it comes to the cultivation of weeds. There states, like Washington D.C., that prohibits buy and sell of marijuana, but cultivating of up to 6 cannabis plants is allowed. You have to be 21 years old and above for you to grow it for recreational purpose. You have to conduct a thorough investigation for you to know the policy of cannabis possession, selling, buying, cultivating, transfer to another adult, and using in different states before you take the action. Some states, like Oregon, requires you to obtain a license for you to sell a cannabis no matter it is declared legal. Keeping in compliant with the cannabis policy is very important. You have to stay updated with their guidelines because some states also change their law. Even if it is used for medical purpose, there are still limitations set which are also another important thing you need to know. States like New Jersey and Montana only limits the use of weed for medical purpose of up to 2 ounces and 1 ounce respectively. Same policy goes with growing marijuana at home. There are also limitations set even though it is declared to be legal so beware to this qualifying condition that also differs from the medical weed law passed by different states. Since selling of marijuana is legal in different states, there are marijuana shops built so you can purchase them. However, you still need to consistently abide by their law because they still set a limited amount in buying them. An option others do purchase marijuana is buying them through online. You just have to make sure that the online seller is reliable based on the reviews they earned. Some claim to sell high-quality cannabis but reviews written by past clients could testify if they really receive a real cannabis. There are pictures of cannabis shown online that seems true, but you need to make sure you will be receiving a high-quality one to satisfy you with your needs. Recently, Nevada was able to gather a large number of voters who agreed to legalize marijuana for recreational purpose. They already legalized the use of marijuana for medical purpose before this recent law was passed. The state encountered a long journey before they made it possible and their struggles won. Since laws are also subject to change depending on how the lawmakers work and think about it, there are still many states we are waiting to pass the full legalization of the use of marijuana. There are always changes in the law and that is what we need to keep an eye of. Moving forward, marijuana is more likely to win the battle when it comes to legalization and reclassification. Aside from its health benefits, it could also help the US save a lot of money in the prohibition of its use.